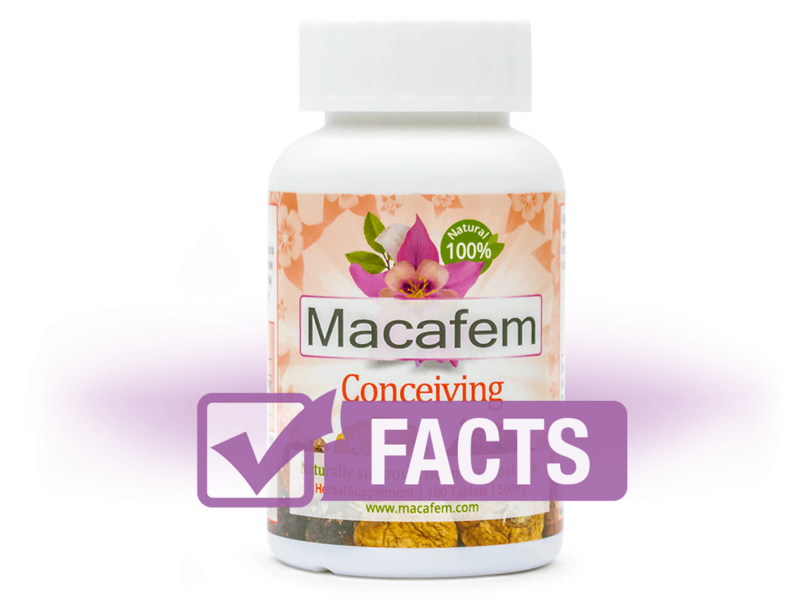 Macafem Conceiving is a natural fertility supplement that helps nourish the endocrine system to support healthy reproductive function, thus relieving hormonal disorders that may be negatively affecting conception efforts. 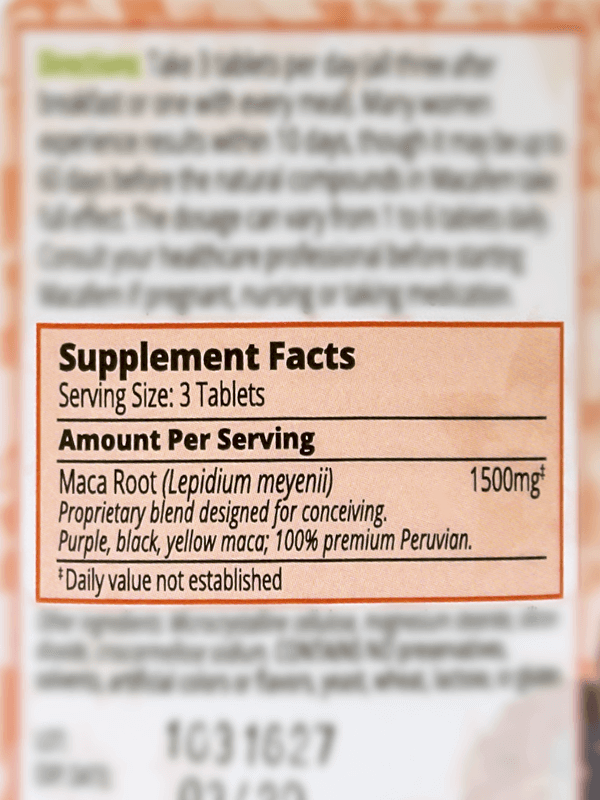 The main ingredient of Macafem Conceiving, Lepidium meyenii, stimulates the endocrine system to produce and balance hormone levels, such as progesterone, estrogen, and testosterone. By balancing these reproductive hormones, thyroid and hormonal disorders – like PCOS – are ultimately improved, relieving symptoms that include fatigue, stress, acne, low energy, hair loss, irregular periods, and mood swings among others. This fertility supplement does not contain any common allergens (lactose, wheat, gluten, yeast, soy) or preservatives, solvents, artificial colors, or artificial flavors. Macafem Conceiving is safe for long-term use. Women who are taking hormone-suppressing medication – such as Tamoxifen – should avoid use due to this natural supplement's hormone-stimulating effects. Some common side effects of Macafem Conceiving include indigestion, sleep disturbances, and headaches. Women suffering from sleep problems should take the supplement earlier in the day. It is reported that these side effects occur in less than 4% of women taking Macafem Conceiving and usually lessen in up to five days once hormones begin to level out. To reduce side effects, it is recommended to lower the dosage temporarily until the body adjusts. Positive reviews credit Macafem Conceiving for helping regulate cycles; allowing for conception soon after starting consumption; relieving symptoms of low libido, vaginal dryness, mood swings, migraines, and fatigue, among others; and more. Negative reviews focus on the fact that the supplement didn't work to regulate menstrual cycles. Take three tablets daily, all at the same time or one with every meal. Women may supplement with Macafem Conceiving for six to nine months at a time and then discontinue use for a couple of weeks to see how the body reacts. They may repeat this sequence as many times as felt needed.